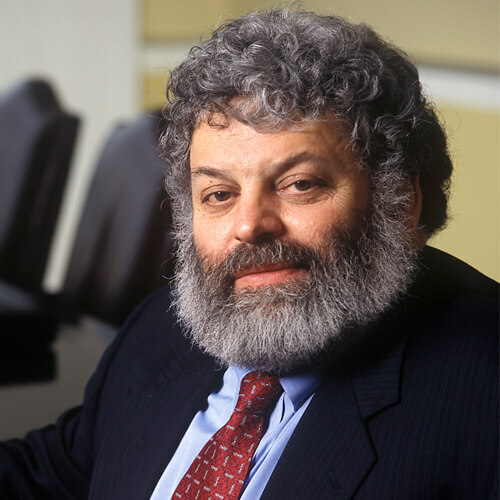 R. Edward Freeman is University Professor and Elis and Signe Olsson Professor of Business Administration; Senior Fellow of the Olsson Center for Applied Ethics; Academic Director of the Business Roundtable Institute for Corporate Ethics; and Co-Academic Director of the Institute for Business in Society at the University of Virginia Darden School of Business. He is also Adjunct Professor of Stakeholder Management at the Copenhagen Business School, Adjunct Professor at Monash University (Melbourne) and Visiting Professor ICCSR at Nottingham University. Mr. Freeman taught previously at the University of Minnesota and The Wharton School, University of Pennsylvania. Freeman’s latest books include Stakeholder Engagement: Clinical Research Cases, published by Springer International Publishing in 2017 (co-edited with Johanna Kujala and Sybille Sachs), Research Approaches to Business Ethics and Corporate Responsibility, published by Cambridge University Press in 2017 (co-edited with Patricia H. Werhane and Sergiy Dmytriyev), and Bridging the Values Gap: How Authentic Organizations Bring Values to Life, published by Berrett-Koehler Publishers in August, 2015 (co-authored with Ellen Auster). His previous book, Stakeholder Theory: The State of the Art, was published by Cambridge University Press in 2010 (co-authored with J. Harrison, A. Wicks, B.Parmar, and S. de Colle.) He is the author or editor of over 25 volumes and more than 200 articles in the areas of stakeholder management, business strategy and business ethics. Freeman is perhaps best known for his award-winning book: Strategic Management: A Stakeholder Approach, published in 1984. Freeman has a Ph.D. in Philosophy from Washington University and a B.A. in Mathematics and Philosophy from Duke University. He has been bestowed with honorary doctorate degrees (Doctor Honoris Causa) from the University of Sherbrooke in Canada in 2016, Hanken School of Economics in Finland in 2014, Radbord University in the Netherlands in 2013, and Universidad Pontificia Comillas in Spain in 2008 for his work on stakeholder theory and business ethics. He was also awarded the 2014 Lifetime Achievement Award from Humboldt University in Berlin, Germany during the Sixth International Conference on Corporate Sustainability and Responsibility (CSR).